As pet owners, we know how stressful emergencies can be. We aim to do everything we can do to help you through this difficult time. We want to make the situation easier on you and your pet. Our veterinarians and staff are wonderful with emergencies. They are well trained for the emergencies that may come in. They are excellent when it comes to caring for your pets during critical situations. 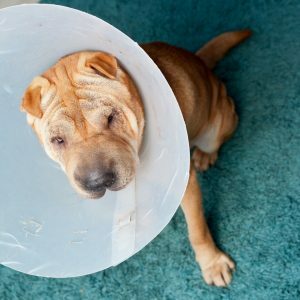 They know all about emergency drugs and the different techniques that could save your pet’s lives. If needed, they will perform emergency surgery, no matter what else they need to do. Our hospital is fully prepared for emergencies. We have the tests needed to figure out what is wrong with your pets. Our staff is prepared to take care of them in the event of an emergency. We will do everything we can to help your pet. Our staff is also here to help you through this difficult time. We are prepared to talk you through the entire process, including the diagnosis, prognosis, and treatment options. We will let you know what we are doing every step of the way. If we end up keeping your pets, we will make sure you know what is going on with them. It is important to us to keep you informed. Be sure to contact us at (808) 868-2552 if you have an emergency. It is very helpful for us if you let us know what is going on when you are on your way. This gives us time to prepare for you and your pet’s arrival. We want to be ready when you walk through our door.